The NETmundial2014 final text (pdf) sidestepped all of the major issues of "internet governance," particularly the "IANA transition" as well as issues of internet surveillance, and is of little use--as the document itself states: "This is the non-binding outcome of a bottom-up, open, and participatory process ..." After all the bold talk of multistakeholderism, and an open and transparent process, the final text was the result of a process that was debated in secret, in a closed meeting where special interests and lobbyists prevailed, and pretty much watered-down and butchered the earlier drafts that had been discussed. When #netmundial drafting process moved from plenary to small room the lobbyists started to dominate. No, the only thing of significance to come out of NETmundial2014 was the Brazilian President signing into law the "Marco Civil"-- Brazilian president signs internet civil rights law • The Register: "In a theatrical flourish, Rousseff signed the "Marco Civil" at the podium before giving a speech at the opening ceremony of the NetMundial Internet Governance conference ... The bill protects privacy and freedom of expression online and enshrines net neutrality as [Brazilian] law. It is locally referred to as the "internet constitution". Five years in the making, the legislation recently gathered some political urgency after rogue sysadmin Edward Snowden's revelations of spying by the US National Security Agency (NSA) and particularly the monitoring of President Rousseff herself." As for ICANN itself, flush with millions in cash from its money-making venture a/k/a the new gTLDs program, it financed a big junket and party in São Paulo, for its own staff and insiders. Thanks to the NSA abuses, there is no going back, or maintaining the status quo. Web domain name revolution could hit trademark defence: UN - Yahoo News: "The mass expansion of Internet domain names could cause havoc for the defence of trademarks in cyberspace, the UN's intellectual property body warned . . . "We have this extraordinary expansion that is going on," said Francis Gurry, head of the World Intellectual Property Organization (WIPO), which oversees global rules against cybersquatting. "That is going to have an impact, which is likely to be significant, on trademark protection. The exact nature of the impact, we aren't sure of at this stage, but it is likely to be significant and disruptive," Gurry told reporters. "Trademark owners are very concerned about the impact that this expansion will have on branding systems," he added...."
What will globalization of management of the internet mean for internet freedom? Trademark Confusion, Is One Letter Enough of a Difference? SEO Ranking Factors - Rank Correlation 2013 for Google USA 2013: "In our study, these two factors are considered the losers when compared with last year, because the existence of keywords in the URL and/or the domain have lost their relevance. 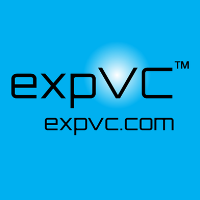 This also affects backlinks when it comes to plain text keyword links. So it looks as if the days of "hard keyword optimization" are over. Google now puts much more emphasis on natural link profiles. Hard keyword links have lost significant influence and can probably – when used excessively – even have a negative effect; for example, when Google updates its algorithm with features devaluing bad links...."
So what works? According to the study (at link above), good backlinks, social signals and good content. So if you are just parking your domain, don't expect any traffic from Google (or any other) search engine, even if you have an exact match keyword domain name. US Congress - House Judiciary Committee - HEARING: SHOULD THE DEPARTMENT OF COMMERCE RELINQUISH DIRECT OVERSIGHT OVER ICANN? The Subcommittee on Courts, Intellectual Property, and the Internet shall have jurisdiction over the following subject matters: Administration of U.S. Courts, Federal Rules of Evidence, Civil and Appellate Procedure, judicial ethics, copyright, patent, trademark law, information technology, other appropriate matters as referred to by the Chairmand and relevant oversight.
" . . . .Because this issue is so important to the future of the Internet and for the protection of American values and interests, we request expeditious responses to the following questions and requests for information about the proposed IANA transition. A 2000 report by the U.S. General Accounting Office stated that “it is unclear if the Department [of Commerce] has the requisite authority” to transfer control of the IANA functions to a private entity. Please provide us with the Administration’s legal views and analysis on whether the United States Government can transition the IANA functions to another entity without an Act of Congress. You have stated that NTIA believes “the timing is right to start the transition process.” Why does the Administration believe now is the appropriate time to begin the transition, and what was the specific circumstance or development that led the Administration to decide to begin the transition now? What steps will NTIA take to ensure the process to develop a transition plan for the IANA functions is open and transparent? Will NTIA actively participate in the global multistakeholder process to develop a transition plan for the IANA functions, or will the Administration leave the process entirely in the hands of ICANN? You have stated that NTIA “will not accept a proposal that replaces NTIA’s role with a government-led or an inter-governmental solution,” but NTIA has been silent on how it will ensure the IANA functions do not end up being controlled, directly or indirectly, by a government or inter-governmental entity. What specific options are available to NTIA to prevent this from happening? How can the Administration guarantee the multistakeholder organization that succeeds NTIA will not subsequently transfer the IANA functions to a government or intergovernmental organization in the future, or that such successor organization will not eventually fall under the undue influence of other governments? NTIA asked ICANN to lead the transition process. However, ICANN has a potential self-interest in increasing its own autonomy and reducing its accountability to other entities. Some stakeholders have expressed concerns that ICANN may seek to control the IANA functions on its own, without oversight from anyone else. How did NTIA determine that ICANN is the appropriate entity to lead the transition process, and how will NTIA ensure that ICANN does not inappropriately control or influence the process for its own self-interest? Does NTIA believe ICANN currently is sufficiently transparent and accountable in its activities, or should ICANN adopt additional transparency and accountability requirements as part of the IANA transition? Is it realistic to expect that an acceptable transition plan can be developed before the IANA functions contract expires on September 30, 2015? Is there another example of a similar global stakeholder transition plan being developed and approved in just 18 months? How will NTIA ultimately decide whether a proposed transition plan for IANA, developed by global stakeholders, is acceptable? What factors will NTIA use to determine if such a proposal supports and enhances the multistakeholder model; maintains the security, stability, and resiliency of the Internet Domain Name System; meets the needs and expectation of the global customers and partners of the IANA services; and maintains the openness of the Internet? Will NTIA also take into account American values and interests in evaluating a proposed transition plan? How? As this process moves forward, we will conduct careful oversight on behalf of the American people to ensure that American values, American interests, and the open Internet are protected. Your detailed responses to our questions and requests for information will aid in that oversight, and we thank you in advance for your personal attention to this matter." IGP Blog: "The country code registry for New Zealand, InternetNZ, has contributed additional value to this debate. It has prepared a set of diagrams that map out just what activities and functions are part of current governance arrangements for the domain name system. It shows what IANA, ICANN, the NTIA and Verisign actually do. Related functions are neatly grouped into boxes. The InternetNZ diagrams show how various approaches to the IANA transition would parcel out those functions to various entities. 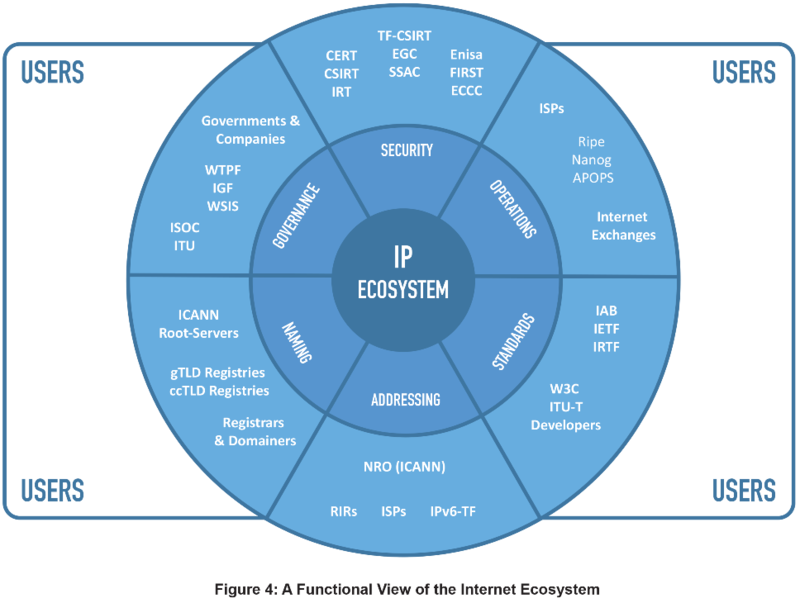 InternetNZ thus provides us with a very useful guide to the IANA transition. The 9-page document, which is must reading for anyone interested in the IANA transition, can be downloaded here: 2014-03-ICANN-IANA-Role-Structures"
Eric Schmidt to dictators: 'You don’t turn off the internet: you infiltrate it' | Technology | theguardian.com: "Dictators are taking a new approach in their responses to use of the internet in popular uprisings, according to Google’s executive chairman Eric Schmidt. “What’s happened in the last year is the governments have figured out you don’t turn off the internet: you infiltrate it,” said Schmidt, speaking at the SXSW conference in Austin, Texas. “The new model for a dictator is to infiltrate and try to manipulate it. You’re seeing this in China, and in many other countries.”"
Too bad Turkey, home to one of ICANN's 3 headquarters, didn't get the message! Live streaming video by Ustream Ensuring the Security, Stability, Resilience, and Freedom of the Global Internet | Energy & Commerce Committee: The Subcommittee on Communications and Technology has scheduled a hearing on Wednesday, April 2, 2014, at 10:30 a.m. EDT, in 2322 Rayburn House Office Building. The title of the hearing is “Ensuring the Security, Stability, Resilience, and Freedom of the Global Internet.” The hearing webcast will be available at http://energycommerce.house.gov/.